For the second time in 54 years, an earthquake damaged roads and buildings across Anchorage and shook people in a way few will ever forget. The 1964 Good Friday earthquake and the quake Friday had many differences, starting with the wonderful fact that no one died this time (131 died in the ’64 quake). The geological differences are interesting and important too. But one thing is the same. Like every big earthquake, they taught us who is really in charge. To the extent we listen to that lesson, we can protect ourselves and those who come after us. That’s important, because we can be sure this wasn’t Anchorage’s last big earthquake. Indeed, 7.0 magnitude quakes are expected regularly on the Alaska-Aleutian Subduction Zone. The nearby location made the shaking so severe in Anchorage. Our number came up and it will again. I don’t want to minimize what happened. It was big. The damage will be expensive. That begins with precious things that were broken. Survivors often say — as they should — that those are only material things, not comparable to the value of our safety in coming through without deaths or many serious injuries. But irreplaceable things that are lost do count. 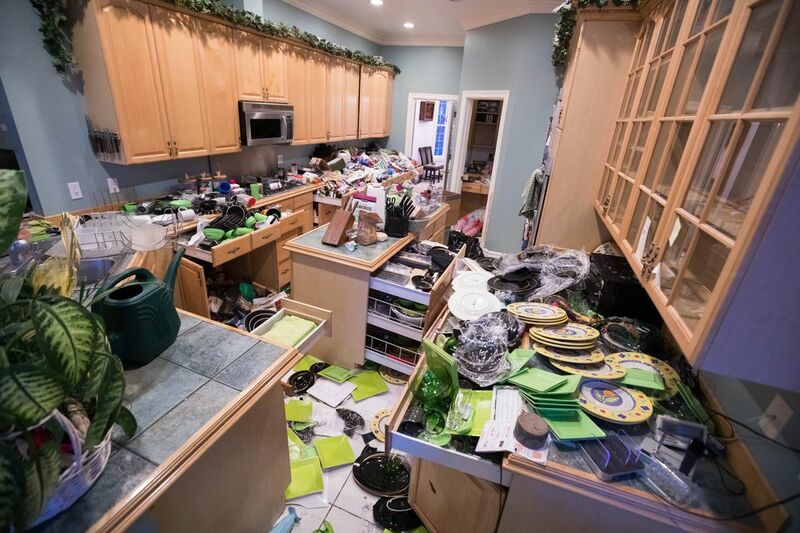 It’s natural to grieve over a grandmother’s china or a now-grown child’s smashed artwork. The financial expense will be significant too, and we’re only starting to understand that. Roads, bridges and schools will be repaired with government funds, including emergency reserves and federal assistance. The rush of relief funds after the ’64 quake, which brought so much more damage, saved Alaska from an economic slump. We can use the construction jobs these days too. For homeowners, the hit may be worse, even if the numbers are smaller. Damaged foundations and chimneys can be extremely expensive to repair. Many Alaskans don’t have earthquake insurance, and for those who do, deductibles are high. Even though you dread looking, it’s worth locating that damage now. Having a home inspector find it a few years from now, when you are trying to sell your house, could compound the financial hit. The ’64 quake relocated a block of the Earth’s crust carrying Prince William Sound and the Kenai Peninsula, an area 600 miles by 250 miles. The west side, near Seldovia, sank into the ocean, while the east side, at Montague Island, rose as much as 38 feet. The rupture lasted more than 4 minutes, and the shaking people felt went on longer. After what happened Friday, you can understand how in ’64, some started believing the shaking would never stop — they thought the world was ending. The ’64 quake liquefied soil under West Anchorage called Bootlegger Cove clay. It’s too soon to make firm statements about Friday’s quake, but records from ‘64 say the clay didn’t collapse until well into the shaking. This quake may not have lasted long enough for that to happen. When the clay liquefied in ’64, buildings large and small went down. In the Turnagain area, houses slid into the sea. Downtown, Fourth Avenue split down the middle, with businesses on the north side going down the hill. In Government Hill, a school broke in half and fell into a hole. The ’64 quake was extremely rare — one of only a few in the world ever recorded that strong — and not expected to return for perhaps 500 years. Afterward, a debate raged for a decade about how to prepare for another earthquake. A group of scientists and planners wanted to make the Turnagain area into a park and stop development along the L Street bluff, which also sits on Bootlegger Cove clay. 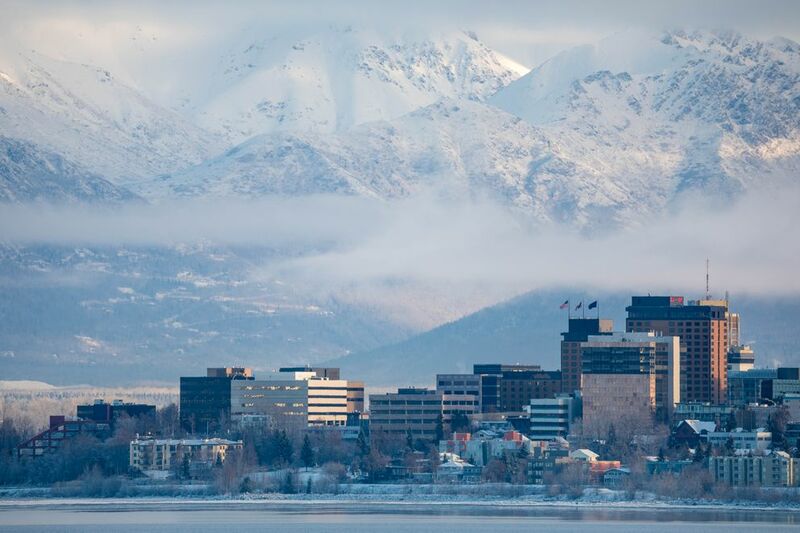 But some town leaders feared Anchorage would die if land was condemned. The city was less than 50 years old. Some residents did leave the week after the quake, turning in their house keys to their lenders. And condemning the land would hurt some of the city’s most powerful property owners. An unsung cadre of engineers has protected us since, reviewing plans and objecting when the danger is too high. They have been overruled at times, and Anchorage has a few buildings that geotechnical engineers do not approve of. But Friday’s lack of deaths and low number of serious injuries speaks to their success. A magnitude 6.9 earthquake in August killed 460 people in Indonesia and displaced 350,000. In August of 2016, a 6.0 quake killed 298 people in central Italy. I would not blame anyone for those deaths. Many variables make those places different from Alaska. But it is worth noting that, as Alaskans, we just survived something that easily could have killed many of us. And we should learn from that.